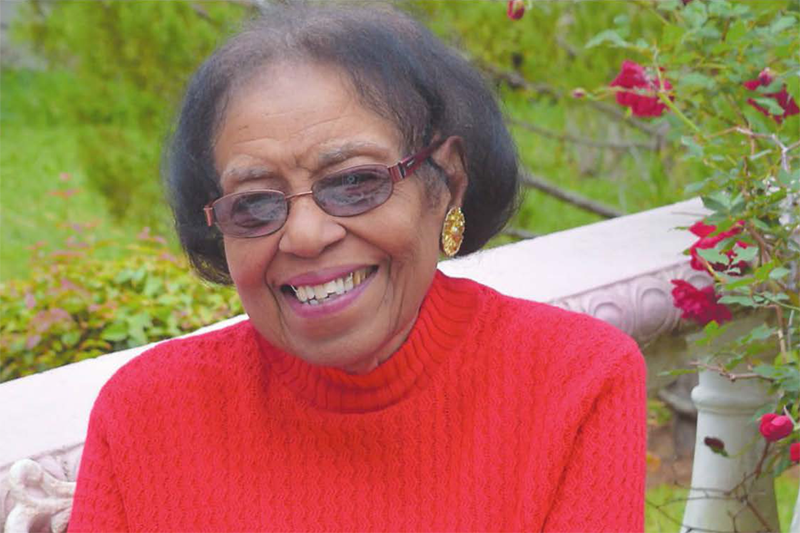 In celebration of the school’s 120th anniversary, the Berkeley Institute Anniversary Celebration Committee is shining a spotlight on its alumni, with the eleventh profile highlighting Margaret Edwena Smith, Class of 1950, Green House. Occupation: Tutor, former teacher and school librarian at The Berkeley Institute. I love my school. The school did good things for me, because during the final years, Mrs. Betty Kawaley and Mrs. Eloise Furbert both taught me. They were always receptive to me. I’ll never forget when I took my final exams, Mr. Furbert told Helen Foster and me that we got grade 3, but we could have done better. When the final results came, I can’t remember who came first, but Helen came second out of the whole year, which included Jimmy Brock and Sinclair Richards, both of whom ended up at the ministry, and I came third. But Mr. Furbert was very pleased with us, and I was, oh my goodness, thrilled, thrilled, thrilled that we had followed his advice. Berkeley cares for its students. It is nurturing. If you need encouragement, they will give it to you. That’s my experience. Oh my goodness, it must be when I went up to grab hold of my second class certificate. Instead of a grade 3, I got a grade 2. It means that you’ve made it. And in my particular case, I did better than Jimmy Brock and Sinclair Richards. That’s interesting, I find as an adult, it’s like saying all things work together for good, because it’s so important, but it is also wisdom for living. My favorite subject was always Latin, believe it or not, and my favorite teacher Mrs. Eloise Furbert, taught Latin. My other favourite subject was French, and my other favourite teacher, Mrs. Kawaley, taught French. When it was time to go abroad to school, for some reason, I wrote to England late. I didn’t think I had to write early to think about England. Everyone who was going, was accepted, but because I had written late, I had not heard anything. Mr. Furbert who knew I was late, and it was Dame Marjorie and Mr. Furbert who knew I wanted to go, but they knew my letters had gotten there late, by comparison with those who were going to Canada, and so they were feeling kind of sorry for me. Dame Marjorie had a farewell party for those going off to university, so only those going off got to attend the party, so I was missing maybe more than one party because I had not been accepted anywhere. Mrs. Furbert had a sister who was a nurse in England. And at the thirteenth hour Mr. Furbert and Dame Marjorie got together and talked, and thought about what each of them would do if they had not gotten accepted into school, but still wanted to go. Their decision was, since they both knew England, that I go. At the thirteenth hour my parents were advised to just send me. I was adventurous. And they accepted this idea, and off I went to England, and Mrs. Furbert’s sister found a place for me to live and Dame Marjorie gave me a list of names of persons who would perhaps be able to help me find places to study in between. I was willing to take the trip, because Mrs. Furbert was also traveling abroad to do some post graduate work, so I was willing to travel with her, teacher and student. So you feel great about this, and when you get over there someone is going to meet you to say I have a place for you to live for a week. It was quite a while before I got settled, and I went to night school at first. I took a hard path, but it was full of adventure. Don’t be afraid to take a step even into the unknown. It is going to be hard. You might find you have maturity you did not know you had. I am a student of Mr. Victor Scott, and he was determined that his students would go to the Berkeley. This was the first year that the Bermuda Government provided scholarships to the Berkeley. Mr. Scott had identified four students, Eric Jones, Norma Astwood, Helen Foster and myself. Mr. Scott said that I was the dark horse, and I might not win. I was interviewed by Mr. Furbert. I don’t know what he interviewed me for. I had the books that I had read lined up. I could tell Mr. Furbert which books I had read, who the authors were. Quite frankly there was nowhere else to go. Sandys did exist, but I was determined to go to The Berkeley. 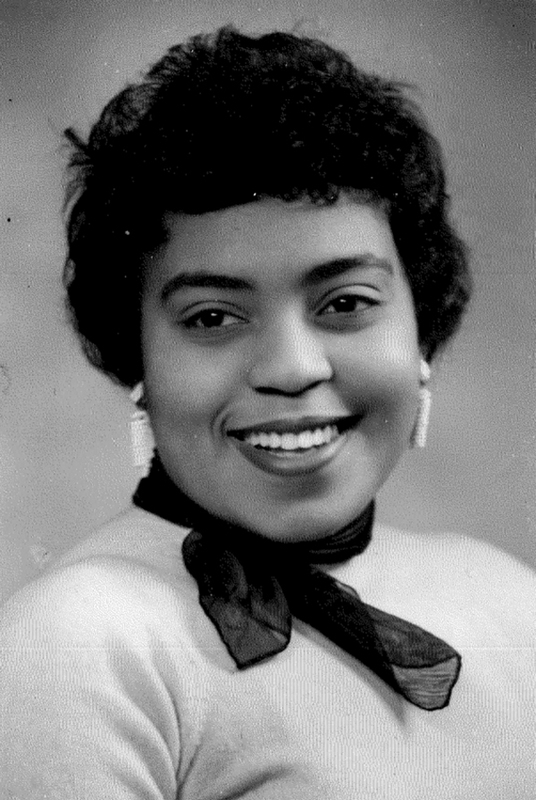 Mrs. Eloise Furbert, who taught Latin and Mrs. Betty Kawaley, who taught French. The island needed students of the Berkeley. All things were possible. Look at the number of Premiers that Berkeley has produced: Sir Edward T. Richards [former teacher], Dame Pamela Gordon, Dame Jennifer Smith and Alex Scott, Dr Ewart Brown and Paula Cox. Dame Lois Evans also attended The Berkeley Institute, and there are countless others who have contributed to Bermuda over the years. Give your students all the encouragement that you can. Every bit of encouragement because you want your students to grow to love the subject the way you do. How did Berkeley prepare you for your next steps? Berkeley gave me a thirst for knowledge. A thirst to go beyond, and go beyond whether the doors were swinging open or closed. I was determined to gain a bachelor’s degree. So there was that thirst, that thirst was unquenchable, the thirst to pursue my goal. And as part of the celebration of Berkeley’s 120th anniversary, alumni of the school are being featured on Bernews, and you can read a profile on Dominique Richardson here, Patricia Gordon-Pamplin here, Juan Philip Wolffe here, Florenz Webbe Maxwell here, Garon Wilkinson here, Candace Furbert here, Shernette Wolffe here, Scott Wade here, Mustafa Manders Ingham here, and Kristin White here.